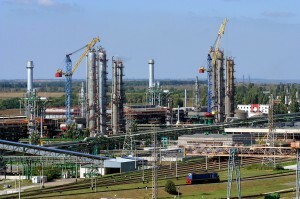 Privatization of one of the largest chemical plants in Ukraine is expected to begin in June. There are at least 10 potential buyers that are interested in the purchase of Odessa Port Plant, including the Norwegian Yara and Polish Ciech, as well as 3 US companies (IBE Trade, Koch Fertilizers, CF Industries). There are also interested businessmen from Turkey and Indonesia. State Property Fund plans to sell the enterprise for more than US $ 500 million. According to the Fund, trading was postponed due to the expected growth in prices for ammonia and urea on the world market, which will result in the highest possible price for the enterprise. State Property Fund of Ukraine (SPF) is planning to start tender for privatization of 99.6% of shares of Odessa Portside Plant, one of the country’s largest manufacturers of chemical products on 30 June 2016. According to the declared plan, this stage of privatization will last for 30-45 days. Sadko Consulting considers the sale of such major asset to foreign investors a signal to other investors and as a step in the development of transnational corporate cooperation in Ukraine. If you are interested in attracting foreign investment or you wish to get a comprehensive strategic and marketing consulting, you can take a look at our portfolio of projects and services. We are looking forward to your requests. Sadko Consulting is a leading Ukrainian consulting company, with wide range of services for international clients, governmental agencies, IFI’s, local corporate clients. We make business easier and explore new opportunities in Ukraine for local and foreign companies.